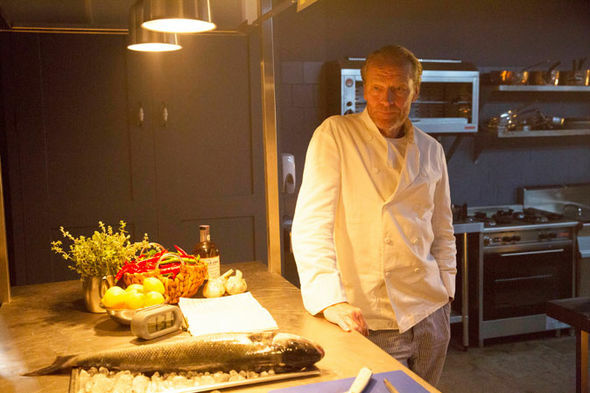 He’s starred in Game Of Thrones and Delicious, but actor Iain Glen hasn’t forgotten his roots. 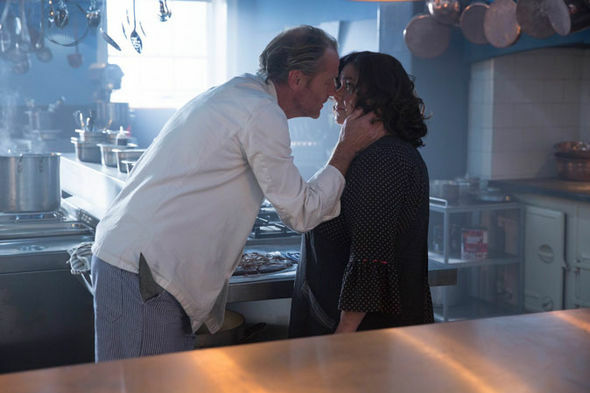 As one of the longest-serving (and surviving) cast members of Game Of Thrones, it must have come as something of an ego blow for Iain Glen to discover he was to be bumped off in the very first episode of his next drama, Delicious. Luckily for Iain, the writers decided they wanted to keep his character in the show from beyond the grave. And now he’s back for a second series of Delicious, which was Sky One’s highest rating original drama of last year. Iain plays Leo, a celebrity chef who has an affair with his ex-wife, played by Dawn French, behind the back of his second wife (Emilia Fox). A heart attack swiftly kills him in episode one, but Leo remains as a narrator, finally stepping back on screen in the last episode. “My daughter had attempted suicide and came into ‘God’s waiting room’, where she had this imagined conversation with me,” says Iain, 56. Iain certainly isn’t used to being killed off so quickly. He has played Ser Jorah Mormont in Game Of Thrones for seven seasons without succumbing to deadly disease or bloodthirsty battle. He says both shows have been great fun to film, so it wasn’t a difficult decision to rejoin the cast of Delicious for a second spin. The food required for filming made life on set particularly enjoyable. “There’s lots of nibbling going on at Delicious as they give us fantastic dishes to work with,” he says, although playing a chef hasn’t improved his skills in the kitchen. “I’m a foodie in the sense that I love food and can eat enormous amounts of it and get away with it – much to the irritation of my wife. But I’m really moronic when it comes to creating meals. I don’t trust myself or have any instinct for it, so I laboriously follow a recipe to within an inch of its life and get very nervous about it,” he says. It’s unlikely Iain will need to do any reality TV any time soon, though, having been on the receiving end of the ever-escalating salaries enjoyed by the Thrones cast. The main stars are reportedly on up to seven figures per episode in the final season, though Iain would never be so vulgar as to entertain a conversation about pay packets. “For me, success has never been about visibility or a recognition but the ability to have done enough to choose the parts you take,” he says. So what was the secret to avoiding being brutally wiped out? “I’ve been sucking up to the writers when I’ve met them,” he jokes. It probably helps that Iain hasn’t annoyed anyone by giving away any big plot twists over the years. “I haven’t ever let anything slip,” he says. Iain grew up in Edinburgh but didn’t discover acting until he was at the University Of Aberdeen, quickly dropping out to study at RADA – thankfully with the support of his mother and father. “They’ve enjoyed a lot of theatre, TV and films I’ve made over the years,” he says. His career has included stints with the RSC, starring alongside Nicole Kidman in The Blue Room in London’s West End, plus roles in Downton Abbey, Ripper Street and the Resident Evil trilogy. “My parents are still in Scotland, though they’re more fragile and less mobile than they were, so we tend to go to them more often than we did 10 years ago,” he says. He even wonders if growing up north of the border may have given his career a boost. “I feel fortunate in that I’m not associated with a particular class, which is massive in the UK,” he says. Does he ever see himself moving back? “Well, I’ve married an English lady and we have built a life down here,” he says. The “English lady” in question is the actress Charlotte Emmerson, who Iain married this summer after 12 years together. “I’m rather enjoying saying ‘my wife’,” he admits. The pair celebrated their nuptials with an intimate meal in a Georgian house near their home in London’s Dulwich Village. “It was just as we wanted it, with only our immediate family, about 30 of us. The courses just kept coming and it was the most perfect realisation of what we hoped it would be.Then we took stock, waited a month or two and threw a big party for about 200 friends. “It made sense to us to separate the two. Sometimes, when you put it all together it can be overwhelming and you lose the personal, small-scale intimacy of a marriage the way you want it, but you don’t want to not share it with friends. The couple already have two children together, Mary, 10, and Juliet, four. Iain also has a son, Finlay, 22, from a previous marriage. The three still find their father being recognised in the street “kind of odd”. It might make more sense once his girls are old enough to watch his most famous roles. “I did a voiceover for [Nick Jr cartoon series] Nella The Princess Knight, providing the voice of Santa, and a few years ago I did Kidnapped, the Robert Louis Stevenson novel, when Finlay was the right age to watch that. They’ll certainly have quite the back catalogue to catch up on when they reach their late teens.